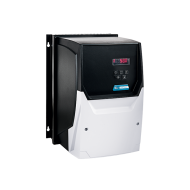 The new AC drive series VersiDrive i E3/3E3 with high-precision, application-tailored speed control economically brings your electric drives up to speed. 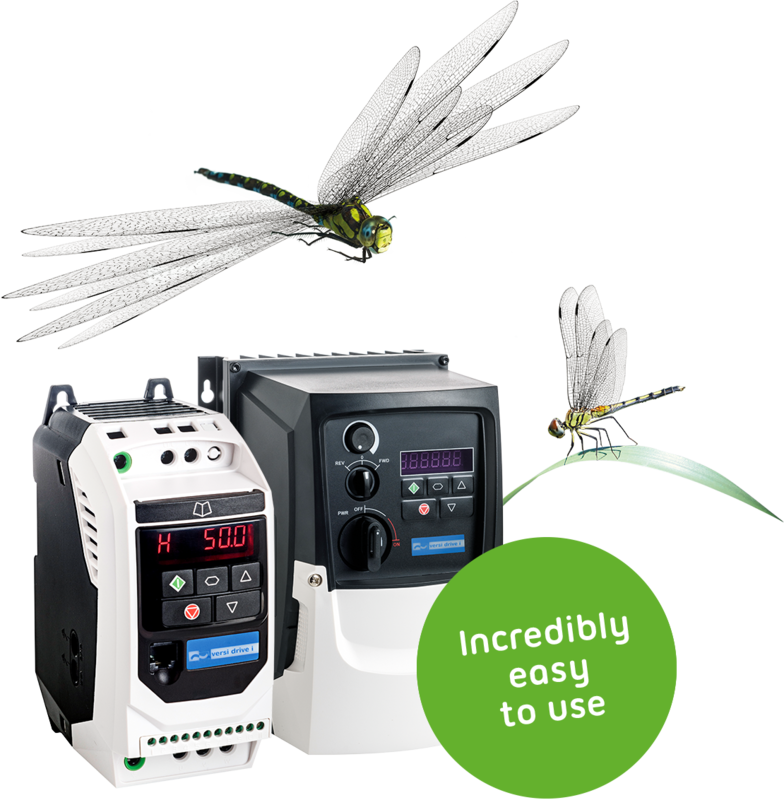 The intuitive operation and user-friendly tools guarantee unbelievably rapid commissioning. 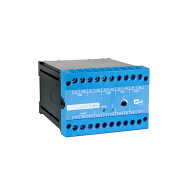 Different performances and construction sizes are provided for individual applications, according to your requirements. 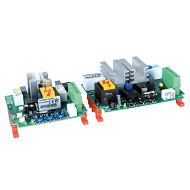 With the VersiDrive i E3/3E3 and E3S product series, PETER electronic is introducing a range of compact, high-performance and energy-efficient frequency drives to control electric drives. 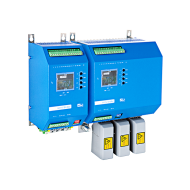 With more than 30 different configurations ranging from 0.37 to 22 KW and two device protection classes (IP20 and IP66), the new frequency drives are a cost-effective, easy-to-install and intuitively operated solution for most electric motor applications in the area of industrial plants, pumps and ventilators. 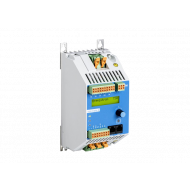 They support many different motor types in every energy efficiency class, such as induction motors, permanent magnet motors, brushless direct current motors and synchronous and reluctance motors. 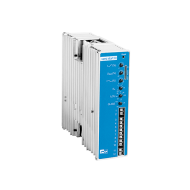 While the VersiDrive i 3E3 frequency drives were designed to control 3-phase motors, the models in the E3S series also allow users to precisely control RPM or speed of single-phase motors. 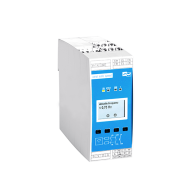 The VersiDrive i E3/3E3 and E3S product family is particularly distinguished by its simple installation, startup and operation. 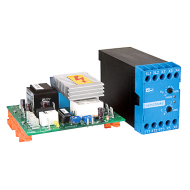 With a variety of output levels, housing sizes and protection classes, it offers the right frequency drive solution for many different applications. 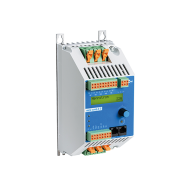 Depending on their specifications and design, the compact, robust and reliable frequency drives can be installed in a control cabinet or right on the machine, thanks to the dust-proof and water-spray-protected IP66 housing protection class. 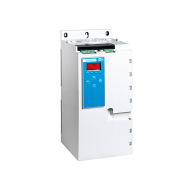 The frequency drives come factory-equipped with precise motor controls and significant energy savings. 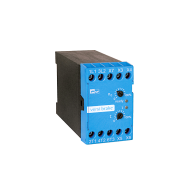 With 14 basic parameters, they allow users to adjust settings quickly and without in-depth technical knowledge. As a result, most applications are already perfectly configured. 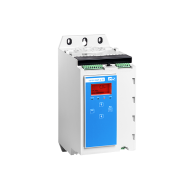 A total of up to 60 parameters are available, which allow for need-based, highly flexible performance. 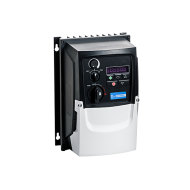 Thanks to reversible application macros, the frequency drives can be optimized for the desired application area – such as industrial, pump and ventilator operations – at the touch of a button. 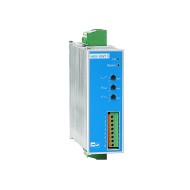 Just switch it on, and VersiDrive i E3 is ready to start precisely controlling single and three-phase electric drives, whether it is in an induction motor, permanent magnet motor, brushless direct current motor or even a synchronous and reluctance motor. 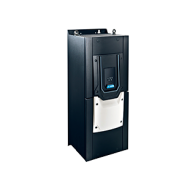 Pre-programmed important parameters save an enormous amount of time during installation, and allow users to start up the devices and benefit from their significant energy savings even without in-depth background knowledge. Synchronous and reluctance motors. 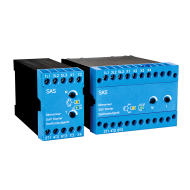 Pre-programmed important parameters save an enormous amount of time during installation, and allow users to start up the devices and benefit from their significant energy savings even without in-depth background knowledge. Despite their low investment costs, the new frequency drives come with extensive features for regulating RPM. 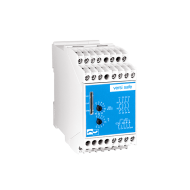 For instance, important on-board features like Modbus RTU and CANopen use serial interfaces to communicate with other machines, which means they can be easily integrated into existing systems. 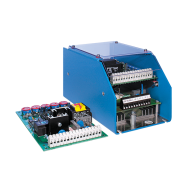 An optional memory stick (the VersiStick) allows users to quickly program a series of identical devices by simply transferring the drive parameters. 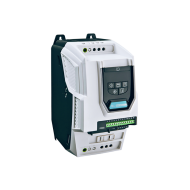 In addition, the stick supports a wireless Bluetooth interface, for instance in order to transmit analysis data to a PC or for editing drive parameters in real time. 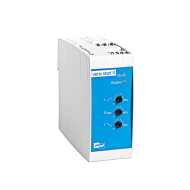 Furthermore, the new VersiDrive i E3/3E3 and E3S product family from PETER electronic comes equipped with a vector regulator without a sensor, which uses a detailed database to support highly precise, reliable controlling of various motor types. 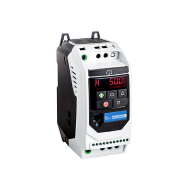 The new product series also offers a high-performance spinoff with the VersiDrive i E3S models, for single-phase controlling of AC and shaded-pole motors in the 110-115 V and 200-240 V ranges. 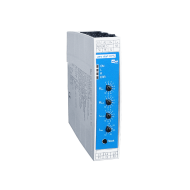 The drives deliver precise RPM controlling for single-phase capacitors or shaded-pole motors. 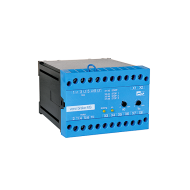 A special boost phase ensures that drives initially start up at the ramps for motor voltage up to the nominal voltage, while maintaining a fixed starting frequency; after that, the frequency and voltage are reduced to the desired operating point.